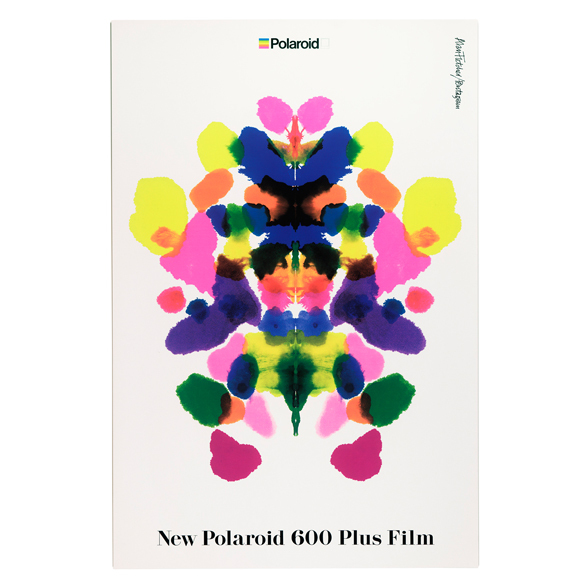 The design studio Pentagram, in conjunction with advertising agents Ogilvy and Mather, created a poster campaign to launch Polaroid's new colour film. The theme was open ended in that eighteen designers of international standing were commissioned to produce a personal interpretation of a colourful solution. These appeared on poster and billboard sites, and in magazines, throughout Europe. This design by Alan Fletcher was based on the psychologists' Rorschach personality test. When asked ‘What does it mean?’, Alan responds by shrugging his shoulders – and saying, ‘What do you think?’.